Nsefu Camp is situated on a sweeping bend of the river, north of Tena Tena.It was the first photographic safari camp in Zambia and dates back to the early fifties. The Nsefu Sector was recognised then as a phenomenal area and it still is. Only 12 guests are accommodated in six beautifully restored rondavels from the 1950’s. All are whitewashed with thatched roofs, open-air bathrooms, and decorated with understated elegance. Each of the original rondavels has been extended, with a spacious bathroom added. Each rondavel has its own wooden veranda with comfortable director’s chairs. Crisp cotton sheets, thick cotton towels and linen bathrobes, along with the characteristic English toiletries, are a luxurious touch. Every bed in camp has its own private view of the Luangwa River. Lighting is supplied by generator and solar lamps. 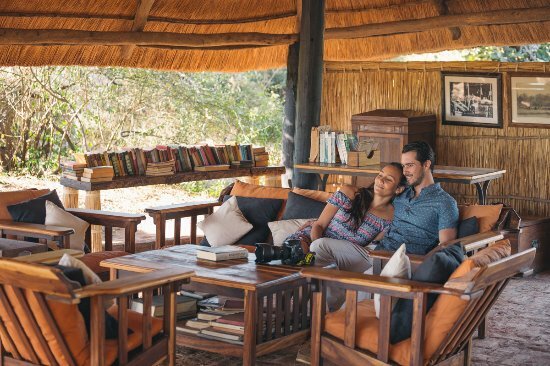 Nsefu Camp, run by Robin Pope Safaris, is located on a wide bend of the Luangwa River in the remote and game-rich Nsefu sector of the South Luangwa National Park. An hour’s drive from their base at Nkwali, and originally built in the 1950s, it is the South Luangwa’s oldest camp – and for years has had a reputation as a high-quality bushcamp with a strong focus on guiding.